It looks to be the year of IPTV services with news that ABC iview will now be offered to Fetch TV subscribers. 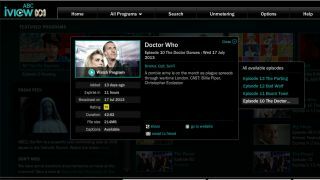 iview has been around since 2008, widely available through apps for Android and iOS, as well as available on certain smart TVs and games consoles. "As a public broadcaster, our focus is on making ABC content as easily accessible as possible. Fetch TV is another way the ABC is providing TV on the viewer's terms, at a time and place of their choice," said Arul Baskaran, ABC's controller of TV multiplatform. The ABC will also be commissioning new programs exclusively for iview. "We're excited to be working in partnership with local production companies to offer original Australian storytelling on iview, as a creative and accessible platform," said Baskaran. ABC iview set a record of having a total of 15.4 million monthly program plays across all platforms and devices. Offering catch-up services, its success lies in the fact that it is easily accessible across a number of devices and has also been offered unmetered through a number of ISPs. "iview has proven to be a phenomenally popular service. We are delighted to offer Fetch TV subscribers the iview experience on the big screen in the comfort of their living rooms," said Scott Lorson, CEO of Fetch TV. News of its integration with Fetch TV comes in the same week that Foxtel Play has become available a couple of weeks ahead of its official launch schedule, as well as news last week of Hulu and Vdio applying for Australian trademarks. "Internet-delivered TV on big screens will continue to grow in popularity as broadband speeds and screen resolutions improve," Baskaran said.